Net Media Planet - traditionally an SEM agency with a proven record in paid search marketing - was looking to expand its services and grow its business. They adopted the DoubleClick Digital Marketing platform, starting with DoubleClick Search. The tool allowed the agency to work more efficiently and increase search performance for its clients. Building on this, they then expanded to display using programmatic buying on the platform to access new revenue streams and boost performance. 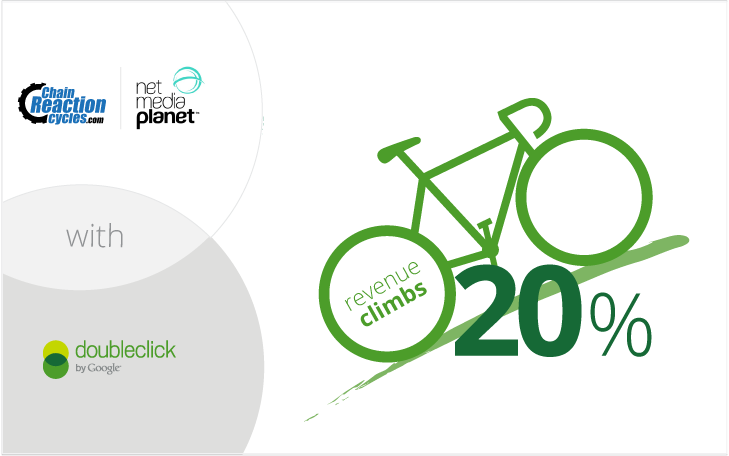 Chain Reaction Cycle - the world’s largest online bike retailer - is a key client who benefited from streamlining its operations. With all their data in one place, the team was able to really focus on identifying strategic opportunities. As a result, they increased revenue by 20%, and increased the number of clicks per month by 35%. “Growing a search management agency can be challenging, being a very saturated sector, standing out is hard”, notes Luke Judge, Sales and Marketing Director for Net Media Planet. Not only did the DoubleClick Digital Marketing platform allow the agency to work more efficiently and improve performance, but the tool also allowed the agency to unlock new opportunities for its clients. Display now accounts for 20% of Net Media Planet’s revenues, and projections for future growth are more than positive: “We expect this to grow 70% year on year for the next 2-3 years”, says Luke.